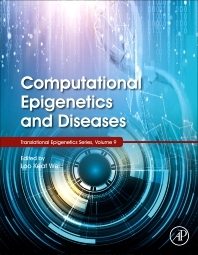 This book is a valuable source for graduate students and researchers in genetics and bioinformatics, and several biomedical field members interested in applying computational epigenetics in their research. Loo Keat Wei is Doctor of Philosophy on Human Genetics by Universiti Sains Maysia. Dr. Loo is a young scientist in Malaysia, who has showed a great interest and curiosity in the field of computational epigenetics. She has published several articles in this emerging field and has been awarded many prestigious international and national research grants such as Australia Endeavour Award, Ministry of Higher Education Fundamental Research Grant Scheme, Research Publication Schemes, Universiti Tunku Abdul Rahman Research Funds, etc., successfully securing more than USD $200,000 funds in the last three years. She is the member of International Stroke Genetics Consortium, Reviewer and Editorial Board Member in multiple journals.